I forgive myself for accepting and allowing myself to avoid seeing the part that I play within the killing of others because I fear if I see who I am as it I might lose my mind, thus, I commit myself to face who I am within the atrocities of this world in order to forgive myself and stop the insanity of and as my mind as consciousness, and to instead direct myself to be and become a stable foundation of support for and as all Living beings in supporting a world/money system which will support all Life according to what’s best for All. I forgive myself that I have accepted and allowed myself to not realize how our current world/money system fuels fear and ignites hate amongst us. I forgive myself for accepting and allowing myself to support a world/money system where we are easily led to blame others instead of investigating the facts and how within our panic and fear and the want to believe we fall prey to conspiracy to such a degree that we will stand in the street and cheer when our victim of blame is murdered in his home and in front of his own children. I forgive myself that I have accepted and allowed myself to not realize how I am just as responsible for the death of Bin Laden as the one who pulled the trigger because I stand by and accept and allow acts of terror by those who I have voted for as I continue to support them through and as our current world/money system. I forgive myself that I have accepted and allowed myself to not realize that our current world/money system is the pillar that keeps the abuse of this world in tact by those who have all the money/power while the thousands who die daily from starvation are left unseen and unheard by those of us who continue to accept and allow it. I forgive myself that I have accepted and allowed myself to not realize that acts of terrorism occurs daily in the thousands of children around the world who starve to death and yet we turn a deaf ear to them because if we were to actually hear their cries we would realize we must let go of self-interest and greed and take responsibility for our whole world and we’ve not been willing to do that. I forgive myself for accepting and allowing myself to not realize how taking the life of another in order to bring forth peace in the world will never be the solution because to kill in the name of life is in-fact the acceptance of death as life. I forgive myself for accepting and allowing myself to not realize that the moment that I accept the death of another as being a solution for life is the moment that I have abdicated myself from and as life itself. I commit myself to show how violence is never a solution to bring forth peace/equality within our world. I commit myself to show how it is useless to blame another for that which I’m not willing to stand responsible for and as. I commit myself to see, realize and understand how that which exists here begins with me within what I accept and allow, thus, if I accept and allow life to be taken/killed at the expense of an experience for myself as being/having more than another, then, I have shown myself how I am that which I am accepting and allowing. I forgive myself for not realizing how fear and money dictate who I have become through the direction of and as those who have all the money/power within our world, and how as such, I have never considered what it means to actually take responsibility for how our world/money system exists, therefore, I Stop. I breathe. I commit myself to investigate how I am the creator of my own fears and how the act of me supporting Equal Money will assist me to face and stop who I am as fear as well as giving myself the opportunity to see who I am walking together as a group as one with all living beings in manifesting Heaven on Earth according to what’s best for All. I commit myself to show how to not take self-responsibility for the physical well being of All Living beings is to disregard the physical beingness of and as Self, because to not support the physicality of All living beings is to disregard the very substance of which I exist from and as. 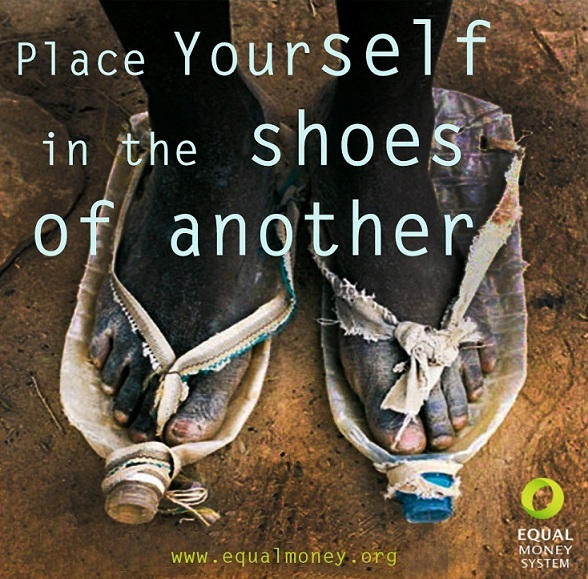 I commit myself to show how Equal Money will bring an end to suffering, starvation and war. I commit myself to show how Equal Money will provide complete support for All living beings from Birth til Death. I commit myself to show how Equal Money is the only Solution that supports all living beings to Birth Life from the Physical. “I commit myself to SHOW that the Inner Humanity as Caring for Life DOES NOT Exist in the Human as Consciousness as Self-Interest is Accepted and Promoted as a Positive approach to Benefit, while the Real Way to Benefit all Life, is to GIVE as One would Like to Receive, which is Equality as what is Best for all Life, Always. I commit myself to SHOW that ALL Conspiracy is ALWAYS Fear of Ignorance where the Value of What Life Really is Equally in Each One, is NOT Realized. This entry was posted on September 4, 2012, in Uncategorized and tagged 60 Minutes, 9/11 mastermind, Afghanistan, AK-47, Amazon bestseller, army, assassination, atrocity, bernardpoolman, bills, Bin Laden, Bissonnette, Black Hawks, blood, blood bath, bomb., book deal, brainwashing, capitalism, children, children’s games, CIA, compound, conspiracy, criminal minds, crying, death, Desteni, devil, energy, Eqafe, Equal Money, equalmoney, FBI, Fear, Fifty Shades of Grey series, game, genes, hate, How I killed Bin Laden, illusion, Jalalabad, lost, lost in the game, love, Mailonline, mind control, mission, money, murder, navy, Navy SEAL, No Easy Day, no honour, organic robot, Osama Bin-Laden, pain, parenting, Pentagon, profiling, Seals, sound, symbols, teamlife, the leading Seal, the matrix, The point man, this is our boy, War. I forgive myself that I have accepted and allowed myself to be ok within a world where killing elephants in order to receive money for their tusks/ivory has for some become a habit, a natural part of one’s daily routine. I forgive myself that I have accepted and allowed myself to not realize that to purchase items for sale made of ivory is the same as killing an elephant by my own hands because in supporting the selling/buying of ivory means more elephants will be brutally killed so that money can be made through the selling of their tusks which are brutally cut in the kill. I forgive myself that I have accepted and allowed myself to exist within a system of ivory consumption, where ivory is treated as a valuable object over the actually physical life of an elephant. I forgive myself that I have accepted and allowed myself to participate within a world where killing elephants is currently equal to that of a gold rush. I forgive myself that I have accepted and allowed ivory as a precious material able to be sold for profit such as in Asia. I forgive myself that I have accepted and allowed a world where people live in areas where they are poor and have nothing and thus are subject to the temptations and demands made by those who offer money for the killing of elephants for their tusks so that they may profit within the corrupt world/money system we have created here on earth. I forgive myself that I have accepted and allowed myself to not realize that many elephants are killed because people have no jobs and thus no money to care for themselves. I forgive myself that I have accepted and allowed myself to not realize that elephant dung contains food for other animals and that an elephant eats Sapeli seeds in Kabo and deposits its dung in Ikalemba, Epena, Gabon and the Central African Republic, and out of that will grow the Sapeli trees of the future. Thus, we have failed to understand that to exterminate the elephants means there will be no one to regenerate the forests. I forgive myself that I have accepted and allowed myself to not realize that there are not that many elephants left in our world and that a female elephant only gets pregnant about every six years and that it takes 22 months for elephants to produce a single offspring, and that if we keep killing elephants as we’ve been doing, there will be none here for future generations. I forgive myself that I have accepted and allowed the killing of any animal for the sake of profit. I forgive myself that I have accepted and allowed myself to exist within a corrupt world/money system that fails to see the beauty and majesty of the creatures that walk upon our earth due to greed where profit/money is worth more than the life of living breathing beings. I commit myself to the support and education of a system that recognizes and understands that to eliminate any species of beings for the reason of profit is to actually be eliminating the ability for all life to survive in areas of our earth. I commit myself to a system of Equality because then I know that all living beings will be seen and will receive the utmost care and responsibility within an understanding that all life is here for the purpose and unity of realizing our oneness of each other. 2012 – What’s missing here? And, just like the ten commandments the words were written by someone with no real sense of what it’s like to have to steal in order to eat because there are no jobs available and no way of providing for yourself and your family. Who’s to say what one is capable of doing when the only option one has is to watch your child starve to death. So what’s the author missing in his approach with the above quote? My perspective is simple. He’s missing the point of walking in the shoes of another, and as such his approach lacks offering a Real Solution for all life. History has proved time and time again that it does no good to boost morality with pretty words and/or by commanding something that ultimately lacks a solution that will be best for All life. A solution that will without a doubt absolutely change how our world exists. This entry was posted on March 23, 2012, in Uncategorized and tagged 2012, Desteni, destonians, Equal Money System, equality, murder, Peter Joseph, starvation, stealing, ten commandments, thou shalt not steal.